"Still or Fancy water, sir?" One day at work in New Zealand there was a small commotion. Someone came running through the door exclaiming loudly that the water cooler now had a fizzy function. You pressed a button and out came sparkling water. The queues stretched down the hallway. We now officially had super fancy water... and it tasted good. For me, sparkling water is, and always will be, very fancy. It's the thing you order at a restaurant to impress rather than your normal request of 'just tap water, please'. Imagine my surprise then at finding my world views turned upside down upon arriving in Germany. I went to buy a bottle of 'Classic' water only to hear the telltale fizz on opening the bottle. Not only is sparkling water considered the norm but no-one in their right minds would ever ask for tapwater at a restaurant. Never. 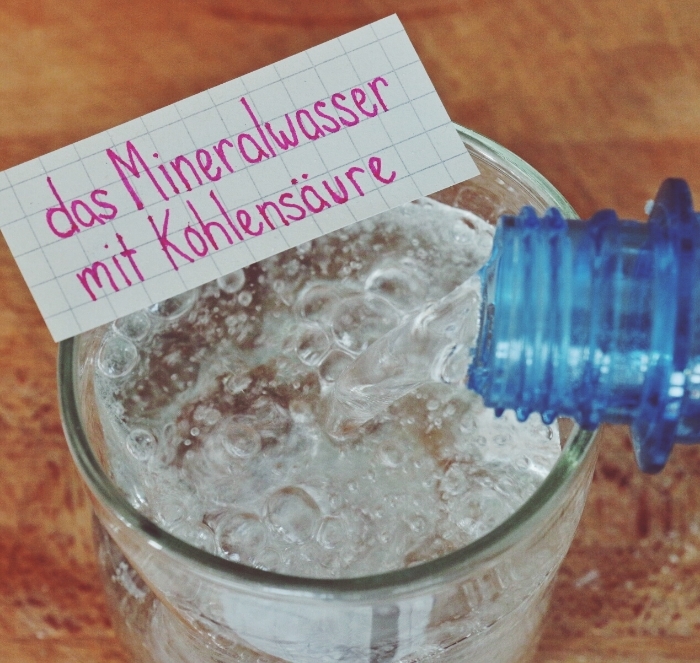 In fact, bottled water is such a part of everyday life that you'll see Germans carting around huge crates of 'Classic' water to keep their fridge stocked full of the fizzy stuff at all times. Does that make the Germans very, very fancy? I'd say so. Where will you be watching the World Cup? It’s that time of year again - the World Cup (WM) has hit the streets of Berlin. Where will you be watching it? Here are a few recommendations and also, of course, a few handy German words. If you're already learning German then you'll be very familiar with a few words, the most important of which is 'die Pause', right?! Well... I guess teacher, classroom and workbook are equally important too... oh, and homework. It's been said many a time before - Germans, they like their rules. It might be a stereotype, but after you've been shouted at one too many times for cycling on the pavement or crossing the street when you shouldn't be you realise that there's some basis to the stereotype. So you've spent the day sightseeing around Hamburg and you're starving, right? In my two trips to Hamburg we've discovered a plethora of tasty cafes, restaurants and bars. Here are a few of my favourites. The last time I went to Hamburg it was -7° and we had to run from one eating establishment to the next with brief freezing interludes in the middle, despite that the city still intrigued me. So when the Hamburg council asked me if I fancied a trip to Hamburg I jumped at the chance to finally wander the streets in more balmy temperatures. Last month I headed to Barcelona and ate my weight in tapas. Here are a few words and some of my favourite places from that trip. It's time to eat your weight in Spargel... It's Spargelzeit. It's that time of the year again—Spargelzeit has arrived! So what is Spargel? Well, it's asparagus. But it's not your common green variety that gets the Germans all steamed up—we're talking white asparagus. 4 days, 4 glorious days! There's nothing more relaxing than the long Easter weekend stretching out ahead of you. Here's a few words to help you on your way. Love is in the air...kind of. It's Valentine's day! Where are the heart-shaped pancakes? Where are the flowers? Where's the card covered in little hearts? Where's the dinner reservation where we sit awkwardly in a restaurant full of couples. GIVE ME MY PRESENTS. Kung hei fat choy! It's the Chinese Lunar New Year and the beginning of the year of my favourite animal—the monkey! Me? Well, I'm a dog (as modelled here by überlin's very cute dog, Olive) which may explain my slight obsession with all the dogs that inhabit Berlin.